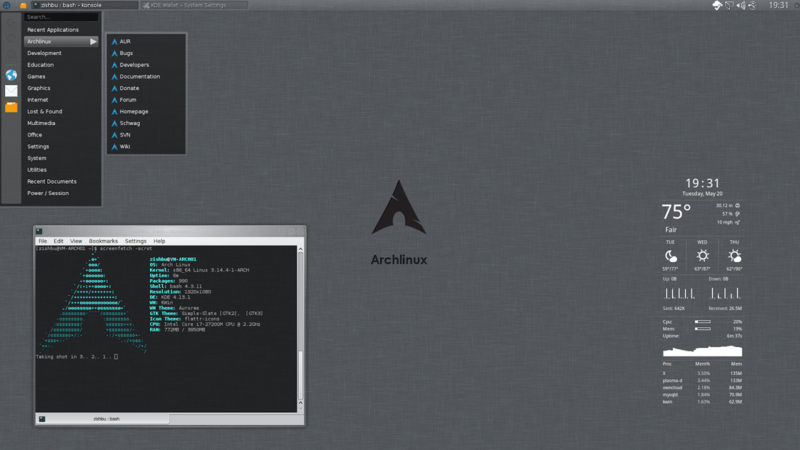 Lately I’ve been using ArchLinux quite a bit. In fact, I use it in a VM on my Mac everyday for various tools and utilities. 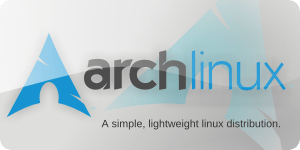 When you talk about or read about Archlinux online, the most common complaint and challenging aspect for most users is the initial installation process. Sure, it’s not a simple point-and-click based installation, but the installation process is very well documented on the Arch Wiki for a vast variety of hardware systems and situations. In fact, the Wiki for Arch is an extremely valuable overall resource. It’s arguably one of the most well documented distributions. That coupled with the package management via pacman, and the packages available from the Archlinux User Repository (AUR), make it my personal favorite. It’s unfortunate that many people find the install process off-putting, don’t try, or try and give up on Arch due to the difficulty. I’ve always thought a large part of the fun with using Linux was the tinkering and experience based learning aspect. The installation of the system is a one-time thing after which, you never have to do again. By completing the installation in the “Arch Way”, you know exactly how your hard drive is partitioned, exactly how the OS was installed, what is loaded at boot, etc. You have a solid minimal linux OS and the powerful pacman package manager at your fingertips. I don’t know about you but downloading and installing all my updates with “sudo pacman -Syu” then entering my password is super simple. I highly recommend any new users to run the installation in a virtual machine first. One resource, a YouTube video that helped me create my first Arch install was this one here by midfingr. He’s got some other good video guides as well. YouTube in general is an excellent resource in seeing all the Desktop Environments (DE), themes, tweaks, and ways people are using Linux. Also the Google+ ArchLinux community is quite active. You can discuss troubleshooting problems with your system, see screenshots of people’s setup, etc. Important note – It’s recommended to use a separate home partition, but I don’t usually do that. I just have the system and swap space partitions only. I’ll include notes on that in case you want a separate home directory. Sentences with # symbols are notes, everything else are shell entries. # Continue System Config, root password, grub, etc. # If you are installing on a disk that already has windows, make sure to add Windows to grub.cfg, otherwise its not a bootable option. fdisk -l, find the starred windows partition. At this point, you can install and configure the DE of your choice, again consult the wiki. This is my base load that I have saved to a VM template. The base work is done, I just install the DE (KDE, GNOME, OpenBox, i3, etc) and DM (KDM, SLiM, GDM, etc) of my choice. Hope this has been helpful, and thanks for reading.